Consumers chose your establishment for a reason. Maybe they’re regulars. Maybe you ran a promotion that enticed them to dine in. Or maybe they count on your bar or restaurant for whatever element of service you specialize in … like offering the food and beverages they prefer and seek out. The U.S. ranks first among countries in soft drink consumption, but consumers’ tastes are changing. Here are three alternatives to soda to offer your customers next time they frequent your place of business. One of the reasons consumers enjoy soda is for its carbonation. Take away the sugary sweetness and the surge of caffeine, and people still enjoy a bubbly drink. 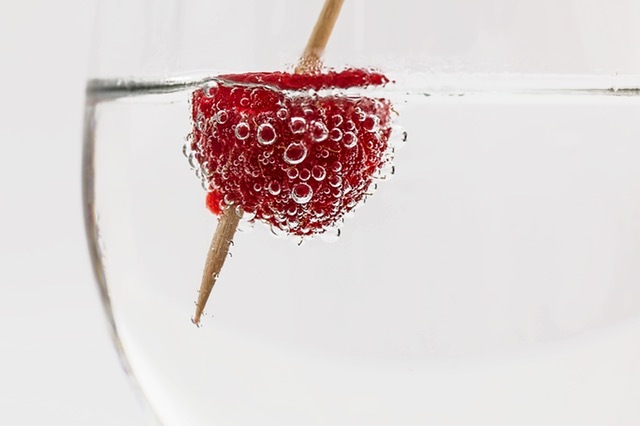 The best way to replicate the fizzy goodness of a traditional soda is to offer your customers a carbonated alternative, like sparkling water or seltzer. A hard-to-ignore brand leading the pack of sparkling waters is LaCroix, which has been available to consumers for 35 years. Why the sudden popularity? Probably for what it lacks – calories, sweeteners, sodium, or anything artificial. Its ingredients are sparse, just carbonated water and natural flavor. Other brands have begun to take notice of the spike in the water category, and long-established brands like Perrier (1988) Klarbrunn, and S. Pellegrino (1900!) have reinforced their availability and amped up marketing to appeal to today’s consumers. Sparkling water has been referred to as “soda” for water drinkers, and people are more apt to order a version of water when they dine out because they’re already in the splurge/enjoyment mindset when it comes to what they put on their tab. If a table of four orders something other than still tap water from your establishment, it can add up to $15 to the tab. It’s an easy way to increase revenue in your business – so consider adding a sparkling version (or two) to your menu offerings. Your Bernick's rep can help you order Klarbrunn in both 12 ounce cans and/or 20 ounce bottles. If carbonation is one reason your customers enjoy soda, caffeine may very well be the other. For the people seeking an alternative to soda that still adds a little oomph, having options like a variety of tea is sure to meet those needs. Tea is ancient and has long been applauded for its endless health benefits. Traditionally lighter and less sweet than its soda and bottled coffee counterparts, tea is an easy suggestion for your customers seeking a little flavor alongside their meals. Popular brands include Pure Leaf – available hot or cold – and its brand portfolio features leaf-brewed iced tea in Unsweetened Black, Unsweetened Green, and Lemon to name a few. If your establishment has a menu featuring clean, natural fare, considering showcasing the Tea House Collection from Pure Leaf. The collection features expertly crafted blends of the world's best, USDA-certified organic, loose-leaf tea, brewed in small batches. Some consumers still prefer soda, but a cleaner, lighter version of their ultimate favorites. Craft soda has also continued to climb in popularity and innovation, and an easy way to appeal to your customers looking for alternatives is to carry new, fun options in bottles or cans. Rodale’s Organic Life published an article a year ago called 8 Natural Sodas That Are Way Healthier Than Cola and one of its inclusions was Reed’s Extra Ginger Brew handcrafted in Los Angeles. This brand contains the most ginger of any brand on the market and is sweetened naturally with honey and stevia – unlike most brands of ginger ale that contain artificial flavors and lots of sugar. The same article also touted Virgil’s Root Beer – a natural brew made with international ingredients and spices as an alternative to other root beer brands on the market. Another upscale, gourmet soda to offer your customers is Dry Soda available in cans or bottles, with minimalistic design and branding sure to appeal to even the most discerning palate. Flavors are bold and non-traditional including Fuji Apple, Ginger, Lavender, Rhubarb, Cucumber, Rainier Cherry, Juniper Berry, Vanilla Bean, and Blood Orange. Its tagline is Dry can stand on its own, complement a meal, or make a cocktail sparkle. Expand your options and have something every customer can enjoy!